Roland as a brand is known for producing high quality, world-class musical instruments, and the Ronald TD-30KV is no different. Both TD-30K and TD-30KV models were introduced simultaneously, but the latter took the market by storm as it targeted high end, pro users. It is a lightweight model even though it takes up its share of space. The box contains 4 cymbal pads, 5 trigger pads/drums, the sound engine/module, input and output audio cables and corresponding mounting gear. It features the stunning MDS 25 rack with its specially designed clamps, chrome electroplated tubing and a cable management system, that takes care of all the wiring to give a polished and compact look. A model of a next-generation series, the Roland TD-30KV features the SuperNATURAL synth engine. It brings in behavior modeling and is equipped with an advanced sensing technology for the first time in electronic drum kits. Behavior modeling is used to reconstruct the original drum sounds preset in the module to give the ‘raw’ feel while the advanced sensing technology dynamically adjusts the levels of individual samples depending on the manner and position of pads struck. Unlike most amateur kits that have pads made of plastic or the real drums that have Mylar, a mesh-like material is used in TD 30s trigger pads. The pads are tailored to absorb sound and reduce noise production, but still give the feel of real counterparts. The material yields a lesser rebound due to its softer nature and this helps both amateurs and pros play it better. The drums produce great sounds with the help of the extraordinary sound module while keeping the noise under 50 dB (which is quiet for drums). The kick pad is the robust and dependable KD 40 and weighs approximately the same as its standard counterpart. The kit comes with the specially forged VH 13 hi-hat that accommodates a sensor for motion detection as well as grayish, strangely sticky cymbal pads. If you have the budget for this kit, it’ll be a dream come through! Together with the amazing behavior modeling and advanced sensing technology that produce unique and exceptional sounds, the TD 30’s sound engine has a myriad of options available to its users. The sound module has each button designated according to its function and an LCD screen installed to display the changes in real time, so new buyers do not have to keep a manual at hand all the time. On a superficial look, the interface seems quite intricate, but with the help of a simple 10-minute tutorial, players can achieve astounding levels of sound quality. Users can change various characteristics of each drum pad to trigger by customizing options of shell depth, beater type, sound muffling and resonance/mic position. They can also change reverb settings by adjusting Hi damp frequency (Hz), Hi damp (%), middle or mid dampening frequency (Hz), and low-cut frequency. These settings demonstrate the level of detail that can be achieved by the sound engine, and there are many more such options available; the above-mentioned ones do not even scratch the surface. The back panel of the module has a bunch of sockets, including trigger inputs, a mix-in input for music devices like iPod, a set of routable direct outs, a simple USB socket and a USB socket for memory cards. After a simple setup, the Roland TD 30 KV gives its users the unlimited freedom to play any style and kind of music while guaranteeing a realistic feel and producing first-class sound quality. The toms have a great dynamic range and with the help of the sound engine, rimshots-enabled tom pads can produce all kinds of sounds and effects. 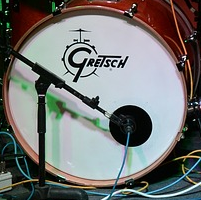 The greatest strength of the kit is the effortless transitions in sound. This can be felt both in the cymbals and the tom pads. The sounds are modified according to the position and force of each strike due to the motion sensor. A much more noticeable effect can be felt on the ride as the sound changes subtly from the bow, bell and the edge. The tone alters just like real drums when increased pressure is applied with closed cymbals. Cymbal swells sound brilliant whether the player uses ordinary sticks or mallets to produce them. Users can also use the headphone output to hear the nuances and subtlety of each stroke clearly. The Song Player is another option in the module and it can be used to play back TD 30’s pre-configured songs and patterns or songs stored on the memory card. The Song Player has only a few basic control options that can be used play and stop the music. The kit comes with an LCD display and labeled buttons that help new users configure the sound module’s settings comfortably and the manual does not have much use after one or two sessions. With the help of the V-Drum technology, changing various kit characteristics is quite easy, and a user kit can be created effortlessly via a menu system that is player-friendly and intuitive. Seven sliders on the sound module are used as ‘faders’ to control the strength and intensity of sound coming in from the hi-hat, toms, cymbals and the other inputs. 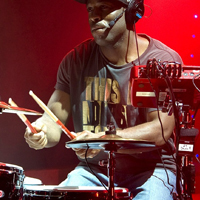 From the six drum kit buttons, multi-effects, composition, mixer, and ambiance can be selected to introduce additional changes in the music to have the best possible results. 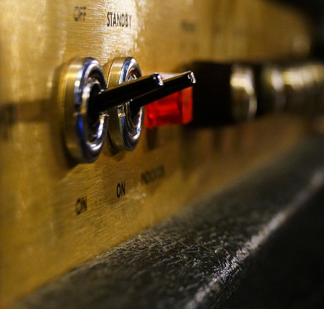 The user has three ways to adjust the volume; mix-in, phones and master, and tweaking these is as easy as turning a knob. By far the most expensive kit from the company on the market, the Roland TD 30 KV is an amazing set of drums with great design and structure. 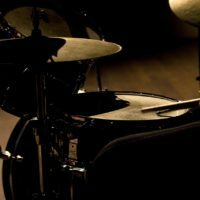 One point to be noted is that the kit is not suitable for beginner drummers, as they can easily get confused and overwhelmed with the number of options at their hand. Dropping in a large sum of money on this model is also not very smart for someone who does not know how to take care of such a beautiful instrument. The company designed this kit keeping pro users in mind, who want to have a realistic experience with electronic drums and can take advantage of its customization options. The kit has received high ratings for its quality and durability, as it is built to stand the test of time and bear the daily wear and tear for years. Check out our electronic drum set reviews page, to browse through the best kits on the market – from entry-level sets to the top-end pro kits. The brilliant SuperNATURAL module gives the user a never-ending number of sound variations to create the sound they desire. With the help of constant behavior modeling, the kit allows its players to feel the nuances of a real drum kit, so they can have the taste of the real, old-school drums without any of their flaws. All in all, Roland has outdone itself with the TD-30KV.